A qingbai shallow bowl, supported on a low, straight foot, from which the thinly potted sides rise in two stages to terminate in a six-lobed rim. The interior is delicately incised with abstract flowers in the centre. The rim is divided into six lobes by six vertical slip lines. The exterior of the bowl is unadorned. 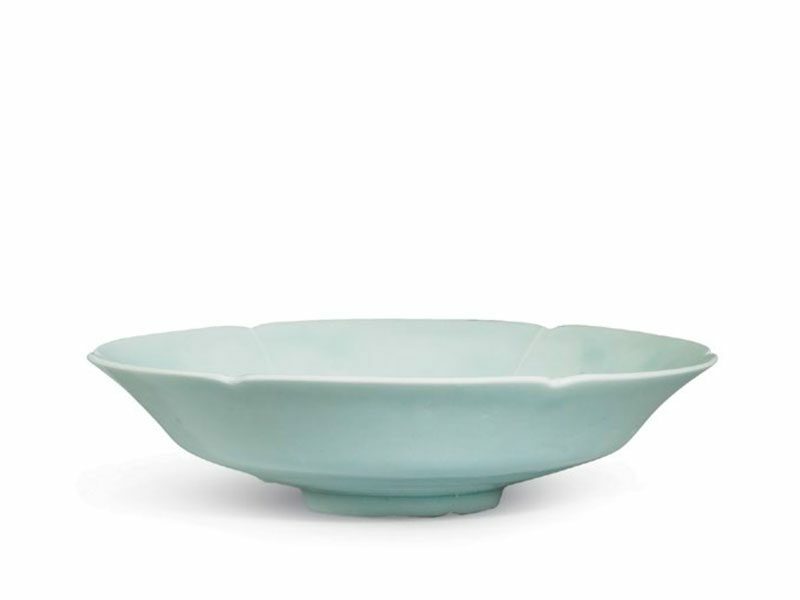 The bowl is entirely covered in a transparent glaze of pale blue hue, leaving only the base unglazed, showing the fine-grained white porcelain body. 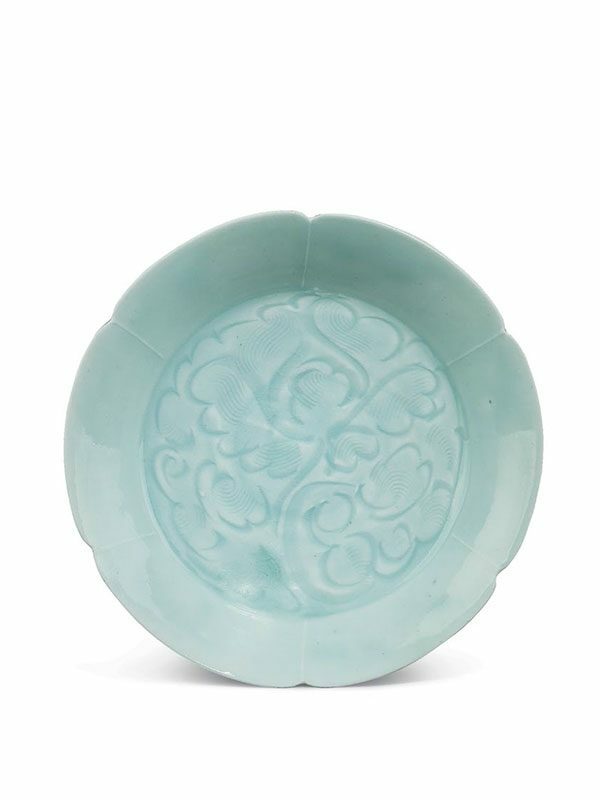 This delicate shallow bowl has several distinctive Northern Song dynasty features, such as the fine incised decoration and the purity of the porcelain. The use of raised slip lines to articulate the form, a technique seen on other ceramics and lacquer wares, demonstrates the close affinity between the various media during this period; it is believed that such six-lobed dish forms are derived from silver prototypes. A practically identical six-lobed qingbai porcelain shallow bowl incised with floral and linear comb patterns and of comparable shape and size is in the collection of the Palace Museum, Beijing. Three other closely comparable sixlobed qingbai shallow bowls of similar decoration, shape and size, all dated to the Northern Song dynasty, are respectively in the collections of the National Museum of Korea, the Muwen Tang collection, and the Ashmolean Museum in Oxford.